As I said I had a friend over to try the latest batch Yukon Rafts, but it was time to try the Clothbound Cheddar and Josef. Thanks to my Trier I would be able to sample the cheese without having to cut open the cheeses. I used my camera to take the picture, but I was playing with the settings so I did not have to use the flash, so I apologize for the quality of some pictures. The next on the sampling table was Josef. This 9 month old Appenzeller style cheese was washed with a mix of wine and herbs and has been aged in its own ripening box. I have debated on trying this cheese, but the time seemed right. 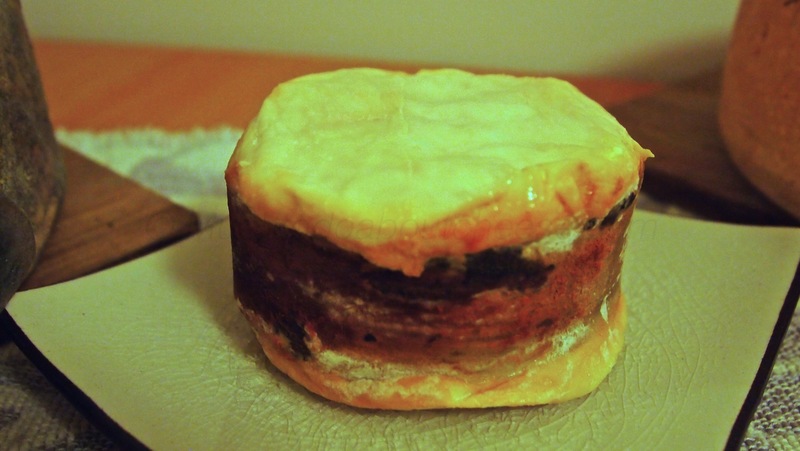 Lastly I have worked on the third version of my Spruce wrapped cheese, affectionately called Yukon Raft. This batch Yukon Brewing was kind enough to let me have some unfiltered Yukon Red. It was a great experience but the extra yeast proved to be a bit problematic as it sped up some of the proteolysis towards the outer edges of the cheese. This time I stopped washing the cheese earlier than planed. This had two effects on the cheese, first the colouring is lighter and second you get a pronounced beer flavour with the cheese. These are not major defects but they do change some of the characteristics. But rest assured it is still nice and gooey. 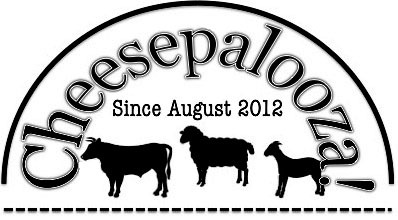 I have more cheese to make this year and even more planed for the new year as we get the League of YEG Home Cheese Makers back on track. They all look do good! I’m thinking it’s time for me to venture on to more aged cheeses. I hope I can find the patience.